Before I get into the wine review, the history of how Cline Cellars came to be is worth noting. Current vineyard owner Fred Cline’s maternal grandfather was Valeriano Jacuzzi. If the name doesn’t ring a bell maybe just the name Jacuzzi does. Yes, the hot tub/spa/whirlpool. Fred’s grandfather and six brothers started out as machinists and then pump builders before they finally became synonymous with the whirlpool spa industry. 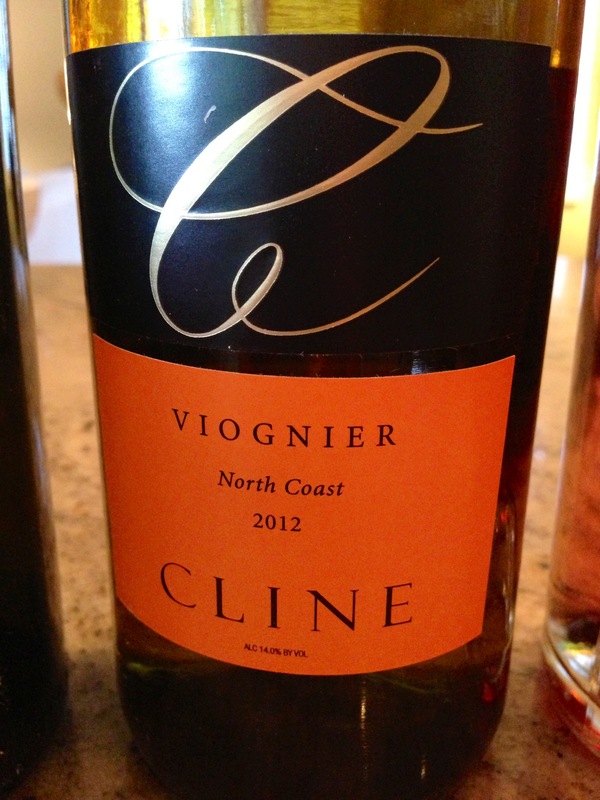 I recently received several wines for review from the Cline Cellars portfolio and of particular distinction was the 2012 Viognier. This wine was actually very nice. And at a suggested retail price of only $12 it’s a real bargain. Most of the grapes for this wine come from the Mendocino region. This area is prone to cool coastal fog overnight and even into midday. Ideal for this varietal. What did I find particularly pleasant about this wine? The wine is particularly weighty, if that makes sense. I find most Viogniers to be pleasantly light, whereas this wine came in as a bit of a heavy weight. And that is a good thing, because the alcohol content is 14%. If there wasn’t enough deep, intense fruit the alcohol would have really been hot and unpleasant. As it is now, the alcohol actually added a bit of ripeness to the mix. The fruit is tropical in nature, with a pretty, flowery/rose like nose. On the finish, the wine was ripe, rich and delicious. The acidity is just right, just enough to create a slight zing to smooth and supple mouthfeel.